Maximum bounce? This Bounce Mushroom (Rhodactis sp.) from Unique Corals is an example of the highly-inflated vesicles that give these corals an outrageous appearance. Bounce Mushrooms captivate the minds of reefkeepers and coral farmers alike, and the trend has had a bit of staying power. I can’t say that many corals have inspired a road trip halfway across the country in hopes of maybe finding one. Such is the story of my last-minute attendance at MACNA 2017, when I wound up hitching a ride to New Orleans with a much younger Minnesotan reef aquarist who was making the road trip. The purchase of corals was one of the main motivations to make the nearly 24-hour drive each way. During our time there, my traveling companion shared his excitement over the quarter-sized Bounce Mushroom he had purchased on the show floor, one of his few really “must-have” corals that had inspired the road trip in the first place. It was the coral he had been hoping to find. No doubt it cost him several hundred dollars and was babied in a temporary aquarium set up just for the event, before being carefully transported back to Minnesota. Even now in 2019, the Bounce Mushrooms offered by retailers are still demanding price tags of several hundred dollars. Thinh Vu’s Bounce Eclectus Mushroom combines the brilliant allure of Jawbreaker type Discosoma, with the amazing bounce morphology more typically seen in Rhodactis sp. You can learn more about this coral in the March/April 2019 issue of CORAL Magazine. 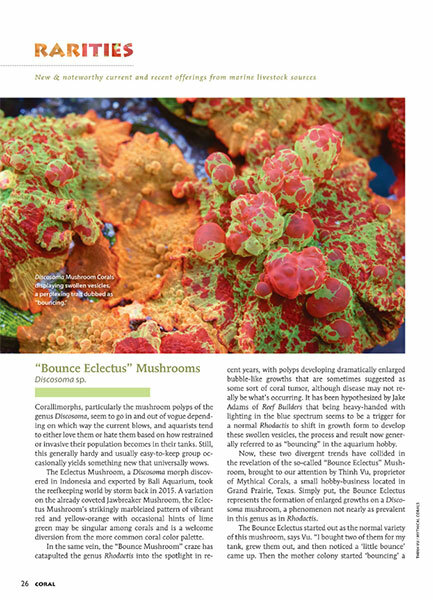 The recent revelation of an incredible Bounce Electus Mushroom, discovered and shared with CORAL readers by Thinh Vu of Mythical Corals in the Rarities column of the March/April 2019 issue of CORAL, demanded a fresh round of discussion regarding the “Bounce” phenomenon, and what it all means for coral keepers. 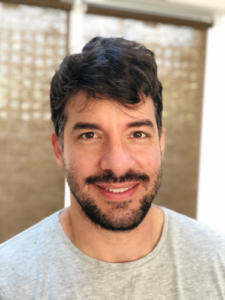 Joseph Caparatta (Joe), the man behind Unique Corals, answered our call for more opinions. CORAL: Joe, thanks for taking the time to chat with us today. What’s your take on the bounce shroom phenom? Unique Corals: My take as a businessman and entrepreneur is that there’s obviously a lot of financial reward. Bounce mushrooms can be immediately sliced (propagated) with minimal risk, and this yields a great amount of money. It’s a no-brainer for me. My personal viewpoint? I think they’re really cool. I love the “OG,” the “Biohazard,” the “Sunkist” with the orange…those are some of the best old-school varieties. The ones that have been coming in as of late don’t seem to have the same response in captivity that the original ones did. It’s kind of a tightly kept secret—[spoiler alert! ]—I think they [the original foundation corals] all came out of Vietnam, but I never saw anything like the original ones World Wide Corals (WWC) got. Vic [Victor Fornari, WWC co-founder] was savvy enough to jump on them, and under their lighting, they created those inflated vesicles. But they are coming in now, just regular Rhodactis with vesicles that are slightly inflated, and it seems in certain conditions they’ll respond and get inflated even more. A Rhodactis sp. mushroom just starting to show hints of what will become much larger swollen vesicles. 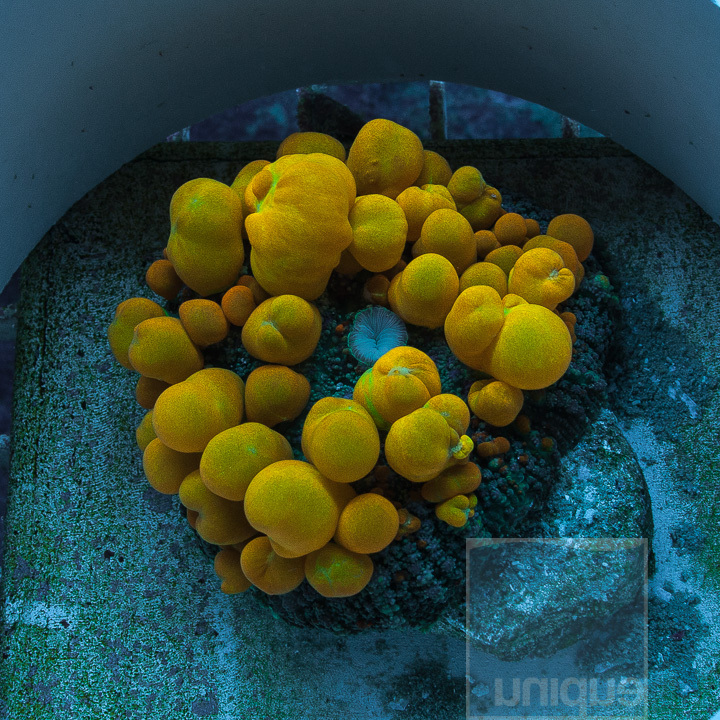 At this stage, a Bounce Mushroom is a much more accessible and affordable purchase, but the difference between this coral and the one above is obvious. 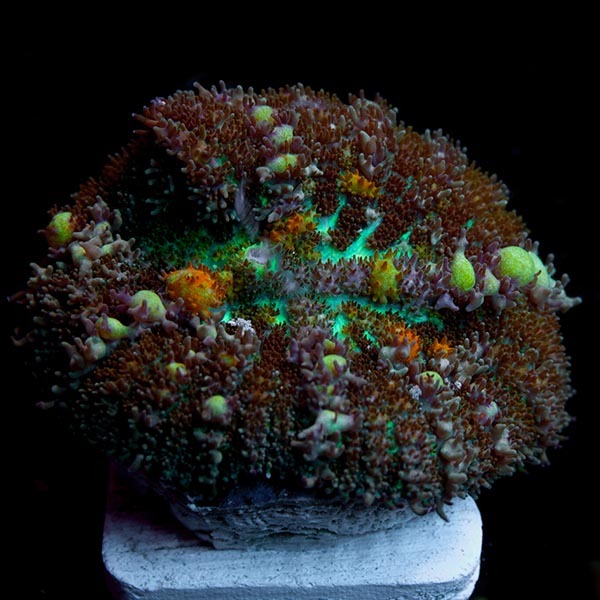 Image credit: Unique Corals. People are still chasing the original strains thinking that newly-imported Rhodactis will turn into original ones, but there doesn’t seem to be any that will match the original Bounce Shrooms that started this craze. I think Bounce Mushrooms get a lot of heat as an “overpriced Rhodactis,” but I don’t see anything else with the morphology and color of a Bounce Mushroom. We’re living in a supply and demand world, and the asking price is determined by what people are willing to pay. CORAL: You reportedly have sold some Bounce Mushrooms for up to $6000? Joseph Caparatta is the owner/operator of Manhattan Aquariums in NYC along with Unique Corals and Triton Distribution West in California. Unique Corals: Yes, it was a WWC Biohazard that was very yellowish-orange and quite large, 3 inches across on a 4-inch disk. It sold at a Reefapalooza NY in 2015 and it got quite a bit of publicity. A humorous side note: Joe Yauillo [of the Long Island Aquarium, Riverhead, NY] took a picture of that coral during RAP. His birthday is always a couple of days after RAP, and he joked that I had given it to him for his birthday—everyone fell for it. CORAL: What does it take to keep a Bounce Mushroom happy? Unique Corals: Bounce Mushrooms prefer gentle flow, low flow; they don’t like to be pounded. They benefit from strong blue lighting, with PAR levels around 100. LED seems to trigger a better “bounce” response [the formation of the swollen vesicles]. These Rhodactis, like all others, benefit from feeding. They have a pretty pronounced oral disk, and they will take fine foods and mysis shrimp. They are not too picky in terms of water parameters; stability is key. I’d suggest a temperature range of 75-78F. CORAL: Do you think that bouncing [the formation of swollen vessicles] is a negative response on the part of the coral? Unique Corals: No, it doesn’t appear to be. The animal grows, and it doesn’t display traditional signs of stress (slowly deteriorating, tissue recession, discoloration). These vesicles become more pronounced as the animal grows and gets more colorful. It’s a really weird response when you think about it, particularly if it’s not happening in the wild. Is it a surface area response [a change in morphology to accommodate some need for more surface area, whether for light or gas exchange or some other unknown factor]? CORAL: Do you ever see these corals losing their “bounce” vesicles? Unique Corals: No, I haven’t seen them lose their bounce, their bubbles. I’ve seen them deteriorate (they’ll just melt away), but they’re usually very hardy. If a Bounce Mushroom fails to thrive, the mortality would likely be caused by a pollutant or nipping (e.g., inverts that prey on soft corals that go undetected, hidden in the rockwork during the day). While a Bounce Mushroom can be an intimidating investment for some reef hobbyists, they are ordinarily pretty resilient corals.